and this time it is daylight and it has grown a bit ! This is ‘Russell’. OK! .. I know that it’s not a very original name. Did you know that crows mate for life ? Here’s the happy pair on their favourite perch. Not far from my home is a railway bridge. A road runs under this bridge and has a safe footpath on one side of it. On the other side is a narrow strip of slippery brick, earth and concrete which some people prefer to balance along rather than cross over the road to use the ‘safe side’ and then cross back again, using the pedestrian crossings, to continue on their way. At this time of year most of the strip is overgrown with all sorts of rough and prickly vegetation making it difficult to negotiate without walking in the road. So what bloody idiot would take the risk ? Much more than a musical memory. The other evening I watched an interesting and evocative BBC documentary about the Everly Brothers (‘Harmonies from Heaven’). It reminded me of the late 1950’s and, in particular, of one miserable rainy night on the platform of a railway station where I waited with a group of other young airmen for the last train, which would take us back to our RAF station after attending some lucky national serviceman’s ‘de-mob’ party. We were chatting and joking amongst ourselves when we suddenly heard the sound of someone singing further along the platform. 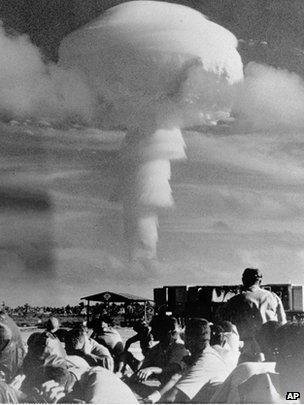 In fact, it was two of our fellow conscripts who had only recently been posted to our camp after returning from duty at the nuclear test site on Christmas Island. On the way home they had a few days leave in the USA and had picked up a number of records, among which were the latest Everly Brothers’ hits. Obviously we had all had more than a “sniff of the barmaid’s apron”, and so these two lads singing may have sounded better than it actually was, but it silenced our chatter. OK, so they weren’t exactly Don and Phil, and it wasn’t quite one of those “Harmonies from Heaven”, but it did have a strangely ‘haunting’ quality about it as it echoed around that gloomy station.